The morning seawatch produced 126 Red-throated Divers, 207 Gannets, a Pomarine Skua, two Great Skuas and a Mediterranean Gull in the first 1.5hrs and two Scaup, an Eider and a further two Great Skuas were seen later in the day. 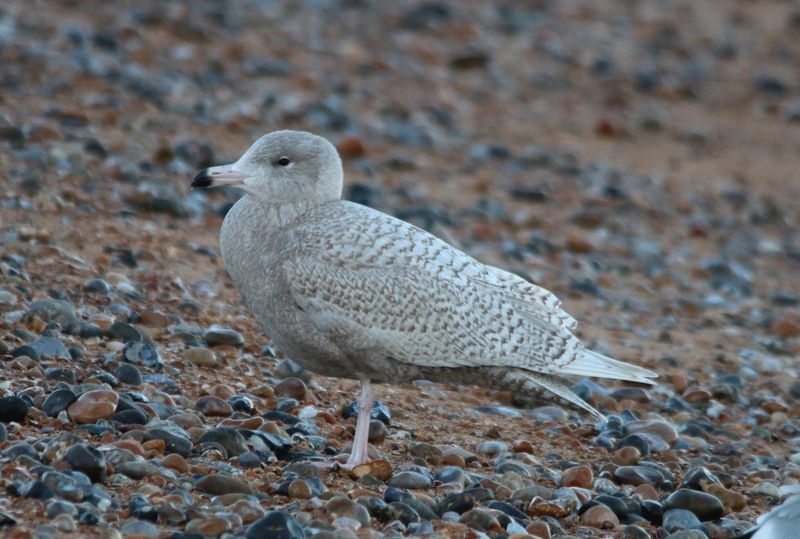 The regular first-winter Caspian Gull was seen at the fishing boats and was joined shortly before dark by a first-winter Glaucous Gull. Nothing to report from the land. Managed to get to see this bird as the light was failing badly. The latest twist in the "grey" Stonechat saga was also announced today. It seems there was confusion over the original test results on the faecal DNA and that this bird is now shown to be of either ssp hibernans or ssp rubicola and not a steynegeri after all.